One of my favorite things to bake is bread. I love kneading it, I love the smell of the yeast…. the list could go on and on. 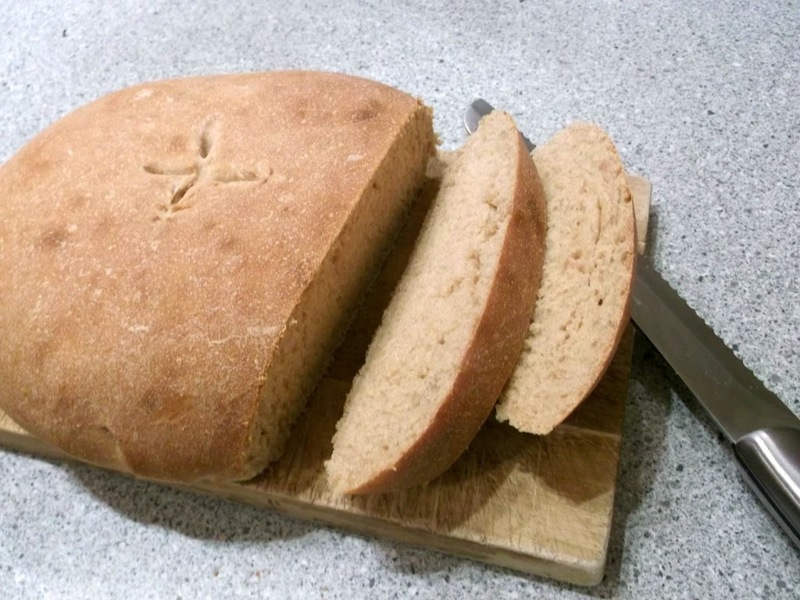 Up until now I have always used all purpose white flour in my breads, never any whole grains. You ask why? It is not that I don’t like the flavor of whole grain breads, it is the fact the they have always made me a little nervous. 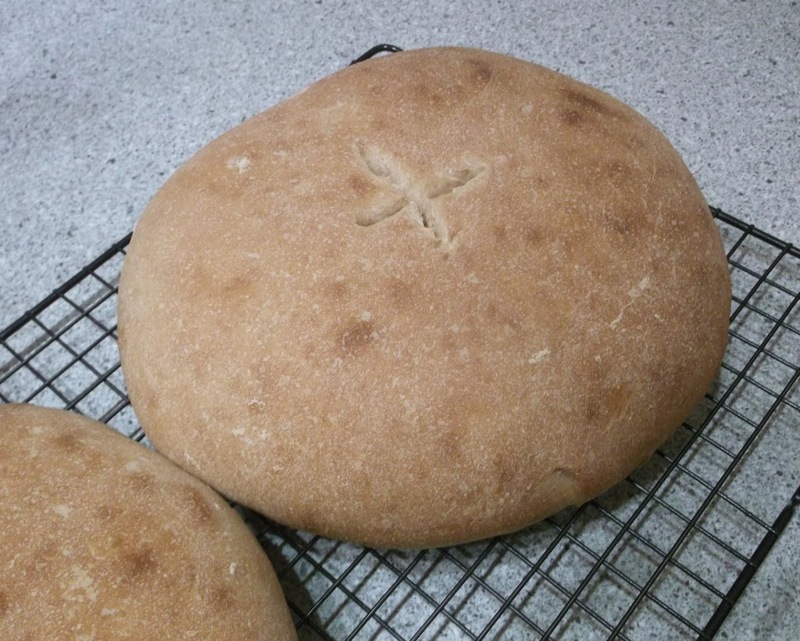 I am not sure why whole grains made me nervous, maybe it was the fact that I wasn’t sure if the bread would be more difficult to make or if I wasn’t sure if it would turn out as tasty as my white flour breads. But it was time to step out of my comfort zone and give some whole grains a chance. This last weekend when making out the grocery list I was sure to include whole wheat and rye flour. 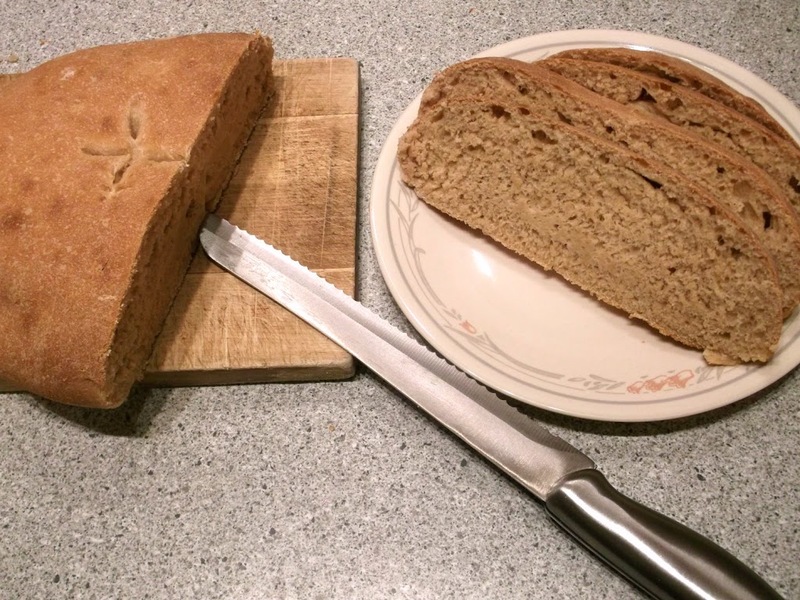 I found the perfect recipe for my first time attempt at whole wheat bread at Bakeaholic Mama. I did put my own twist on the recipe; by kneading mine by hand Carrie used a mixer for the process of her bread. Another thing I had to bake my bread a little longer than the original recipe called for. The first loaf I cut into it and it was a little doughy so I returned the other loaf to the oven and baked it for a while longer. No matter what the bread was perfectly delicious. I will be making it again soon. If you prefer the mixer over kneading it by hand you can find the recipe here. Stay tune for a recipe for rye bread soon, I can’t wait to see how that will turn out. On the stove top add butter, honey, salt, milk, and water together in a small sauce pan. Heat over medium heat until the butter is melted. Remove from heat and set aside to cool to just about 80 degrees F.
In a large bowl add in yeast and the all-purpose flour and mix together. Pour you wet ingredients and mix together. Add in your whole wheat flour 1/2 cup at a time until dough comes together and is only slightly sticky. Knead by hand about 3 minutes until the dough is smooth and elastic. Butter the bowl; turn the dough to coat both sides. Cover and set in a warm place (I like to add a little warm water in my kitchen sink and set the bowl in the sink, it helps the bread rise a little faster) and allow to rise until double. It takes about an hour (if using my method, it took about 45 minutes). After dough has risen, divide in two and shape into balls. Place on a lightly greased cookie sheet (I placed both loaves on one sheet). Cover and allow to rise a second time until doubled. Usually 30 to 45 minutes. Optional, an X can be made on top with a sharp knife just before baking. Bake at 400 degrees on center rack for about 23 to 28 minutes or until golden brown and sounds hollow when you flick the top. Allow to cool for awhile before serving, slice, and enjoy! It looks perfect! Wish I had a slice right now. Great looking recipe! We’ve been baking our own bread for the last few months, and it makes a difference, doesn’t it? Such great flavor. Love the use of honey in your bread – something we should try. BTW, we usually figure that when we stick an instant read thermometer into the bread and it measures 200 degrees F that it’s done (and is probably done at 190 F). Good stuff – thanks.